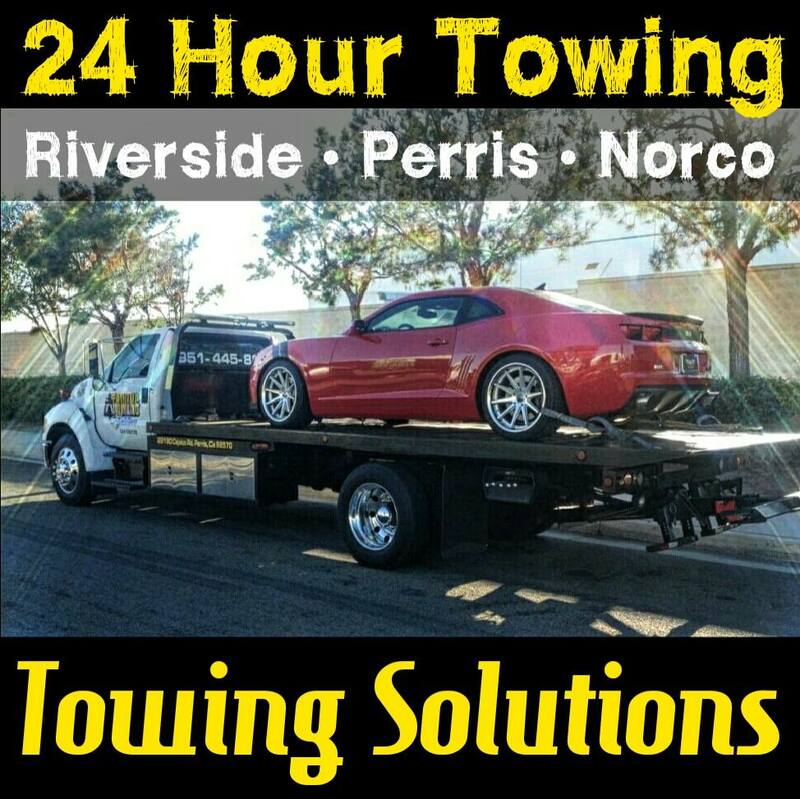 At Towing Solutions we are a 24 hour tow truck service is dedicated to helping our customers with all of their towing and roadside assistance needs. 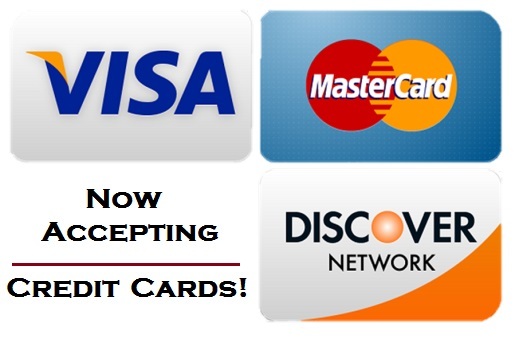 Give us a call today at (951)445-8868! With our trained team, these are the areas that we are always focusing on. 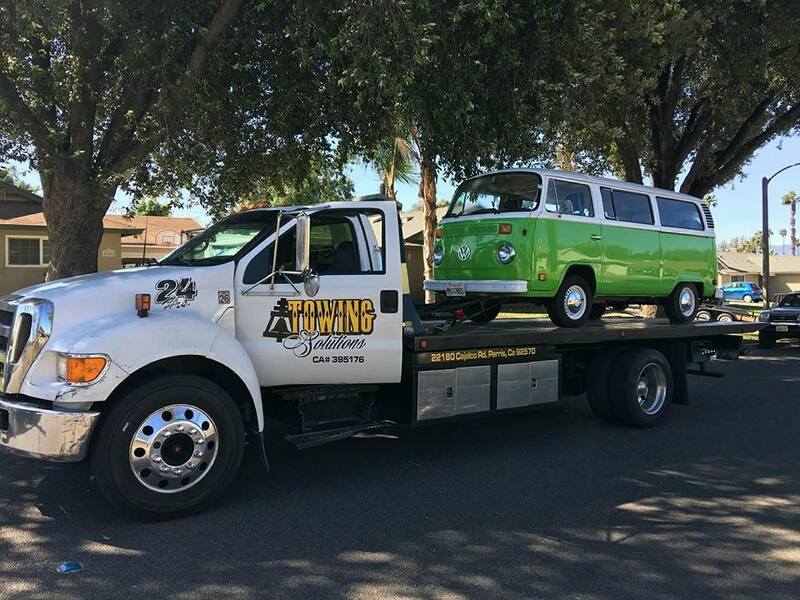 Being a family owned and operated tow truck service with over 20 years in the industry we know that getting the job done right and in a time efficient manner is the only way to go! We encourage you to take a look at what our loyal customers are saying about us on YELP! We love awesome feedback! If you are in need of an emergency tow, we always want to encourage you to wait in a safe location. Our customer’s safety is our number one priority. 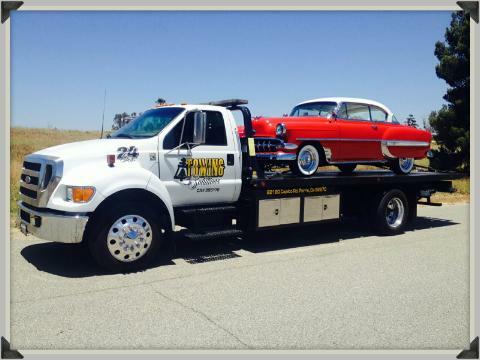 At Towing Solutions we offer a wide array of roadside assistance as well. Some of the most common roadside assistance requested are listed below. Although, there are other services that are offered such as junk car removal, we encourage you to simply give us a call and let us know the specifics of the situation you’re in.